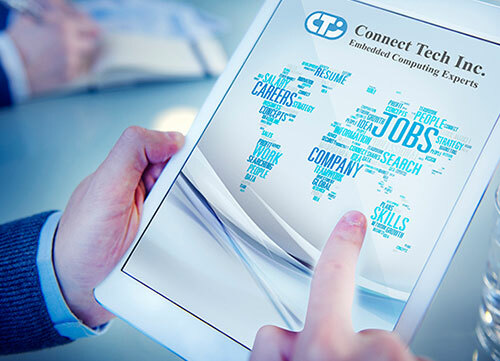 Connect Tech Career Opportunities - Connect Tech Inc.
We are interested in bright, talented and ambitious people who can meet the challenges of our working environment and strive to make a difference in our organization. We realize that success cannot be accomplished alone. We rely on the talent and knowledge of our employees to help us continually improve and bring new and exciting products to the marketplace. Looking for a different opportunity? Although we may not have openings for your desired position, you may submit your resume and cover letter as we are always happy to be introduced to new people. We will keep your resume and contact information for the calendar year in case a suitable position opens that you are qualified for. Thank you for your interest in Connect Tech Inc.